Join us to sing, observe or applaud karaoke. 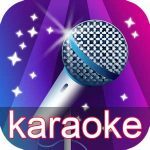 This event promises to be different than other karaoke events. It is BYOB and BYOA (appetizers). The venue is a raised stage, with stage lights, great acoustics, extreme video, multiple microphones on stands, 3000+ songs and best of all, a crowd specifically gathered for karaoke and fun. Click here to see video clips of past evenings on YouTube!